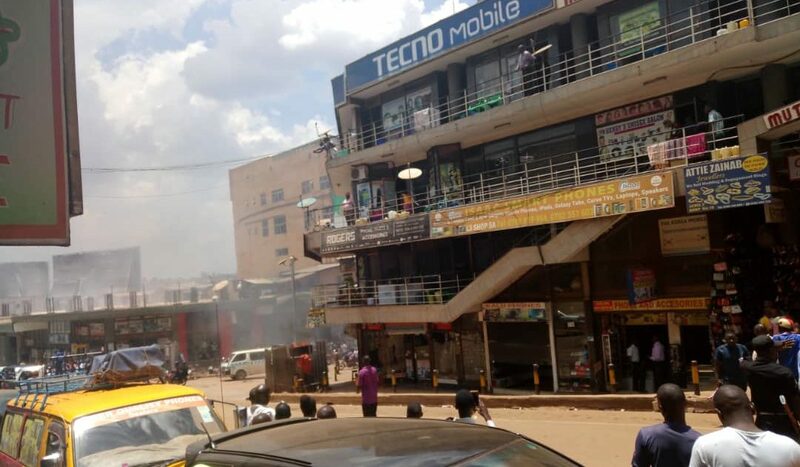 Business in the Kampala city centre came to a standstill after an electricity transformer caught fire near Mutaasa Kafeero complex. The complex which is located along Burton Street is one of the busiest places around the city. It is famous for selling electronics including television sets, mobile phones, among others.